Connect directly to the right target consumers Mobile marketing allows you to reach out accurately to the right set of target consumers, it also allows you to have a direct and highly relevant marketing communication. Have an effective two way communication with consumers Mobile marketing allows brands to set-up an interactive 2-way communication with consumers, loyal customers can engage with their favorite brands to build sustainable relationships. Run cost effective sales promotion campaigns Mobile based campaigns have a relatively low Cost-per-impression compared to traditional marketing channels. Promotion/campaign set-up, management and execution costs are also lower as brands can efficiently manage these using online portals and easily integrate into existing CRMs and ERPs. Collect relevant and accurate consumer information Mobile marketing is an effective way to acquire and maintain customer profile. A database of mobile number based consumer profiling helps you promote loyalty driven sales, a rich consumer database with buying history and patterns will also help in Increasing sales and loyalty memberships by crafting personalized messages for every segment of audience. 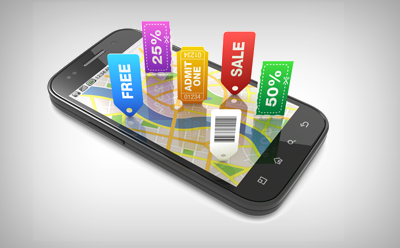 Have a relevant conversation with customers through location-based services By using a customer’s geographic information through location-based services (LBS), it may be possible to have a personalized conversation with customers based on what they are currently doing at the time. This information can be collected through information via broadcast services like Bluetooth, QR codes, or NFC.